It has been an eventful week for 39 year old, Tiger Woods. We’ll look at the “better” things: the Greenbrier and his new golf course… and the “worse”: a possible affair with Amanda Dufner? Tiger shot his best round of 2015 on Thursday as he opened up the Greenbrier Classic with a 4 under 66, where he would eventually finish the tournament with a score of 7 under par (his best finish of 2015!). Some claim that Tiger Woods is ‘back’… it may be a little early for that, but it’s nice to see him go low! Off the course however, he definitely is making strides. He has been working on a golf course design of his own now for about a year, documenting the process on YouTube and it looks very impressive! Tiger recently uploaded a video of his newly designed golf course, Bluejack National as it approaches the final stages of its development. Definitely looks like a course we would like to play. Check it out below. It’s no secret that Tiger loves Augusta National and there are definitely hints of Augusta in his design! Now… Tiger appears to be moving the wrong direction in at least one category. He was recently linked to another affair. This time with recently divorced Amanda Dufner. Tiger grew close with Amanda when he played with Dufner. 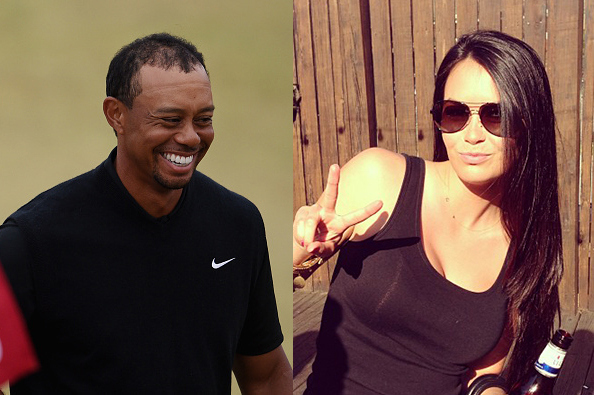 It is even rumored that Tiger flew her to the U.S Open recently… Sounds like he is trying to get back to his old ways both on and off the course. With a good showing at Greenbrier Classic and his new course coming along Tiger may not be ‘back’, but (most) things are certainly trending in the right direction for the 14 time major champion.